The Osborne Group and our partners. Please click on the images to read more about the projects. The part 17th century but mostly 18th century Shrewsbury Gaol is being acquired. Research and public consultation is being carried out to determine the content of a future mixed-use development which may include provision for university accommodation. 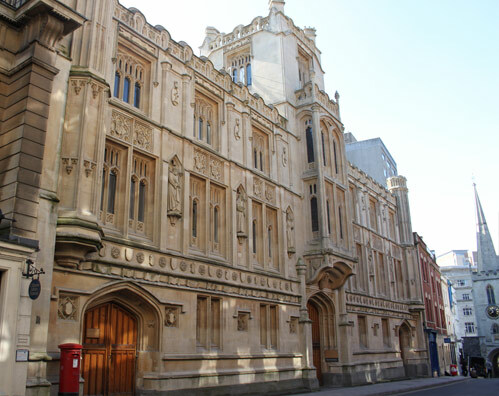 The Grade II* listed Guildhall has been acquired from Bristol City Council and it is intended to add to the site the adjoining Grade I* listed building formerly the Bristol Branch of the Bank of England. The building was built in two parts in 1843 and 1868 with two road frontages to Broad Street and to Small Street. One of the largest buildings in the Old City, the building is to be restored and will become a circa 90 room five star hotel with substantial public areas, dining rooms, bars, function rooms and an extensive spa. A swimming pool is to be located on the roof of the building. Cleveland House is a John Pinch creation of circa 1820 built by Lord Cleveland of the Bathwick Estate. It is a rare example of a Georgian office building originally occupied by the Kennet & Avon Canal Company. The Grade II* listed building straddles the Canal and is to be restored as a fine Georgian house with a double storey high reception room being created from the boardroom as used in the early 19th century. This will be one of Bath’s finest buildings with views across the listed Sydney Gardens towards the Holburne Museum. 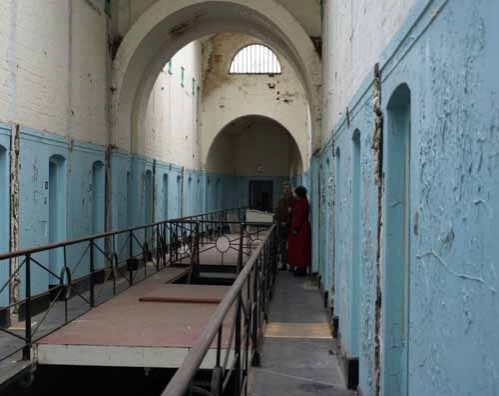 February 4th 2009, the Trevor Osborne Property Group in partnership with Armagh City & District Council and The Princes Regeneration Trust signed the partnership agreement to develop Armagh Gaol into a luxury boutique hotel. Owned by the district council for the past 10 years, the property came to the market in 2008 with the view to the site being sympathetically restored and the heritage of the building protected for future generations. The site is in a prime City location with views across to the cityâ€™s famous Mall, to the Courthouse on the opposite side and surrounded by Georgian houses. The restoration and regeneration of Armagh Gaol gives the Trevor Osborne Property group an opportunity of working in another historic city, restoring an historically important building and giving the Gaol a new lease of life while providing Armagh with a fantastic new facility. Built in 1780 by two of Ireland’s most important architects Francis Cooley and William Murray, the building was originally designed as three prisons, one for women, one for debtors and one for felons. Executions were common with the last one being held in 1904. 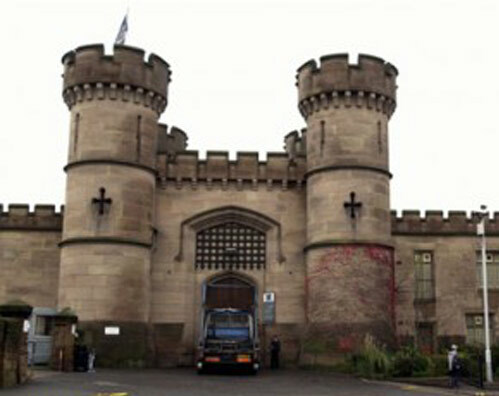 The Gaol finally closed in 1986 and subsequently lay empty for the last 22 years. The project is to save the nationally important Buxton Crescent built in 1780/1790 by John Carr of York for the fifth Duke of Devonshire. 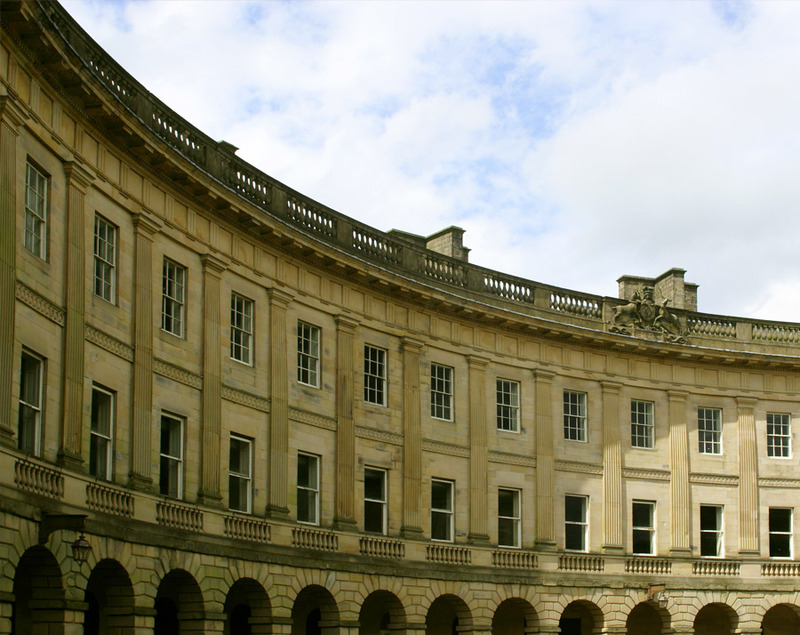 In partnership with CP Holdings Ltd, High Peak Borough Council and Derbyshire County Council, Trevor Osborne Property Group are to restore the Grade I listed Buxton Crescent to offer a luxury thermal spa hotel. The hotel will offer 80 luxurious bedrooms and suites and a thermal spa experience that will be one of only two natural mineral water spa facilities in Britain. The spectacular Assembly Room and Card Room will be restored to their former glory and both will be open to the public for concerts, events and as function suites for visitors and residents to enjoy. Other elements of the project include a new separate restaurant in the Pump Room and retail shops in the Colonnade. Grants totalling £30million have been secured from The Heritage Lottery Fund, D2N2 Local Enterprise Parternship, English Heritage, Derbyshire County Council and High Peak Borough Council to create the 80 room, five star hotel, thermal water spa, shops and restaurants. The Company has financed development costs to date in respect of the £46 million project. The Company has extended its local ownership by the acquisition of the Old Hall Hotel and the George Mansions. For 35 years, Trevor Osborne has owned the Porthleven Harbour & Dock Company, a statutory company founded by an Act of Parliament in 1869. The Harbour & Dock Company owns many of the historic buildings in and around the harbour which are subject to a continuing programme of improvements and conversions. The village with its annual food and music festival, its RNLI Gala Day, the harbour market which operates through Spring, Summer and Autumn, and a host of other events has full occupancy of all of its many restaurants, historic inns, galleries and shops and is now one of the most attractive holiday locations in Cornwall. 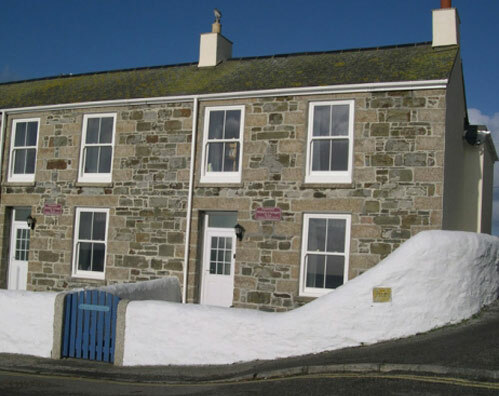 We have no vacant premises and many of the properties are available for holiday lettings through the Group’s associated Company Porthleven Holiday Cottages. In 2014 the village was savaged by unprecedented storms which caused extensive damage to the harbour, the repair of which was largely completed in the same year. The harbour now accommodate both fishing and pleasure boats and moorings are available. In 2010, the old Lifeboat House was successfully converted into an artist studio and hosts a variety of art courses as well as visiting artists through-out the year. 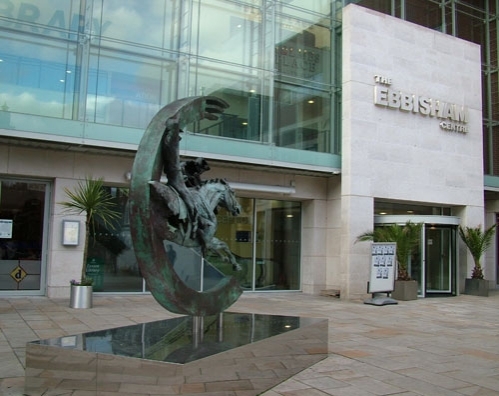 The conversion of the upper floors of Celtic House on the Harbour Head was completed in 2011 and now trades as a successful restaurant and bar. The Old China Clay building was converted in 2013 and now operates as a seafood restaurant and bar with a one bedroom holiday apartment on the second floor. Future projects include new shops and apartments, a 35 bedroom Harbourside Hotel, a contemporary luxury home and the restoration of a number of listed buildings on the harbourside. 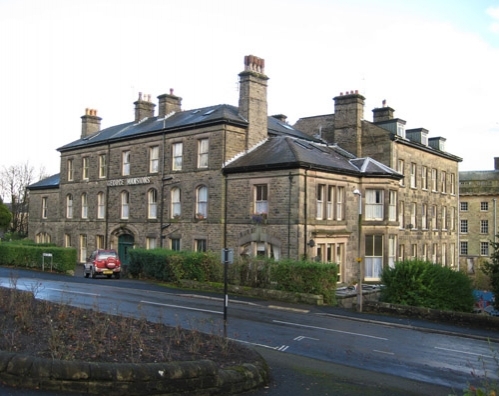 Acquired in 2007 by the Trevor Osborne Property Group and CP Holdings as part of the regeneration of Buxtonâ€™s Crescent and Spa. 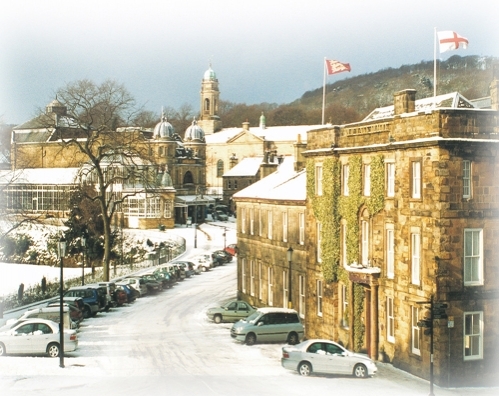 Reputed to be the oldest hotel in England, the Grade II star listed Old Hall was rebuilt in 1550 by the Earl of Shrewsbury, 4th husband of Bess of Hardwick, to accommodate Mary Queen of Scots during her visits to Buxton Spa. 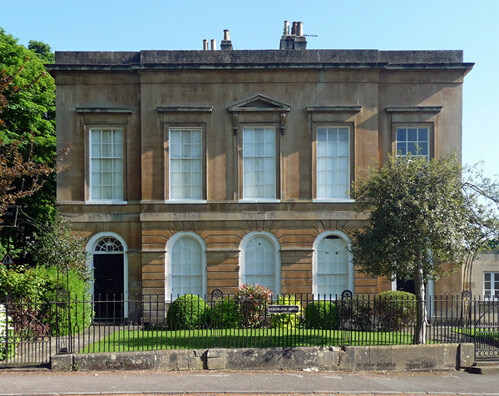 Located opposite the celebrated Pavilion Gardens, yards from one of the most exquisite Opera Houses in the Country and adjacent to the Grade I listed Buxton Crescent. The project, combined with the Crescent, is one of the most significant heritage regeneration projects in the UK. The hotel currently offers 38 en-suite guest rooms, two self contained serviced holiday flats, a wine bar, restaurant and function rooms. The hotel continues to be managed by Sally Palmer and Emma Potter, the daughters of Louise Potter who owned and built up the reputation of the Old Hall over the past 25 years. A program of upgrading will be undertaken including the introduction of executive rooms which will be wired for internet access and include other enhancements for the business and leisure travellers. The hotel will operate as one of the Danubius portfolio of Hotels as a 4 star property, with direct access to the Thermal Spa. The most toutherly port in the United Kingdom, Porthleven is a historic 19th Century fishing port set in the sweep of Mounts Bay in Cornwall. This charming Cornish village is renowned as a holiday destination offering peaceful surroundings, excellent food and beautiful sea views. Our 30 high quality self-catering holiday properties are the perfect place to stay while exploring this stunning area of south-west England. 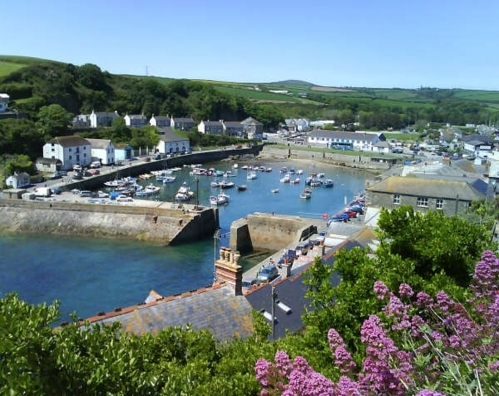 Located on and around the unspoilt harbour in Porthleven, many of the cottages have breathtaking views out to sea and across to Mounts Bay. Let throughout the year, the cottages accommodate between 2 and 8 people and are comfortably furnished and extremely well equipped. Some of the cottages are located next door to each other allowing extended family or friends the convenience of being able to holiday together. This property comprises two buildings; The George Hotel, built circa 1770 for the Duke of Devonshire and the George Mansions, a mid 19th century addition. Both buildings are Grade II listed and some years ago were converted to provide 19 apartments with the George Bar on the ground floor. The opportunity to purchase the freehold was taken by TOP group and CP Holdings in 2007 as an additional opportunity in the creation of a Spa Quarter in the highest altitude town in Britain. Renovation of Grade II listed and mostly Georgian buildings to provide 3 retail units and 10 residential units over three floors above the shops. 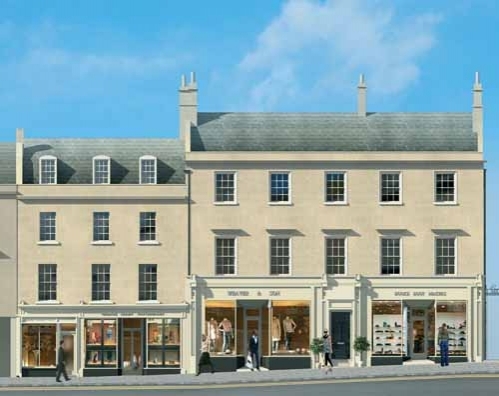 Throughout the re-establishment of these, the proposals encompass the restoration and adaptation of the historic fabric allowing the properties a sustainable and long term future as part of Bath’s urban core. Within the property lie the remains of a Jacobean dwelling which will be sympathetically restored as part of the creation of a three storey courtyard house which may possibly be the oldest house in the City. The project is being undertaken in conjunction with Bath & North East Somerset Council. 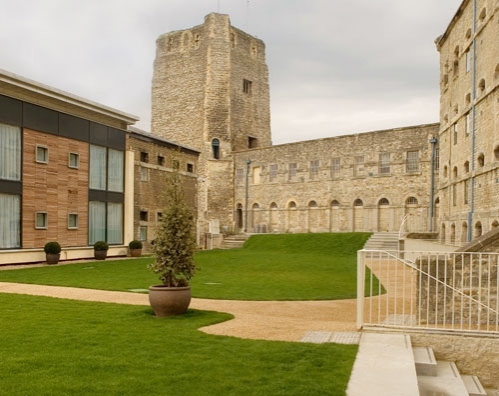 The regeneration of Oxford Castle and the former Oxford Gaol into a multi-use urban environment mixing residential, retail, hospitality and a unique Heritage Centre. This freehold of this high profile site, The Crown Estate, was seeking a developer to undertake a major scheme on this listed building. This opportunity was won on a â€˜best scheme, best bidâ€™ basis, whilst the site was marketed as an office scheme. The Trevor Osborne Property Group identified the limitations of the buildingâ€™s potential as an office conversion and correctly saw its unique credentials for a hotel. 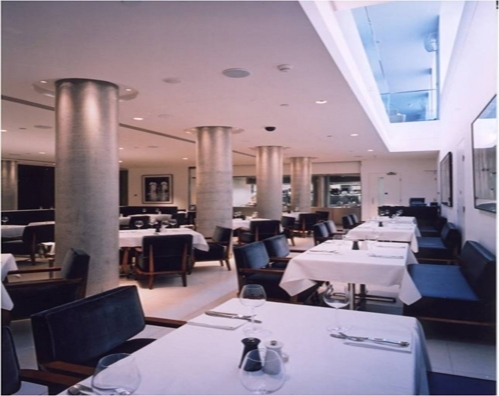 The property was completed in 2002 in conjunction with a long term investment partner and is let to Hilton plc (136 beds) plus bar and two destination restaurants. The Companyâ€™s investment in the completed project was sold to its investment partner in 2006. A joint partnership with Manhattan Loft Corporation includes one building that is affectionately known as the “Tutti Frutti Building”. The 28 apartments and 5 penthouses bring LA style living to this popular area of Central London. Fulham Island is a pioneering mixed use urban quarter using restored listed buildings along with contemporary additions for house shops, offices, restaurants and apartments, all within a stoneâ€™s throw of Fulham Broadway Station. The apartments range in size from one bedroom to luxurious penthouses, fully wired with the latest state-of-the-art telecommunication and security systems. Ground floor tenants include Marks & Spencer, La Tasca and a host of local shops and restaurants. 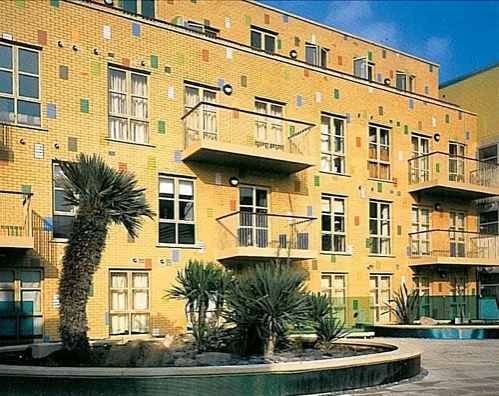 The highly original architecture of Piers Gough combined with the Californian style landscaped gardens by Jennifer Coe creates a unique urban living space in one of Londonâ€™s liveliest areas. 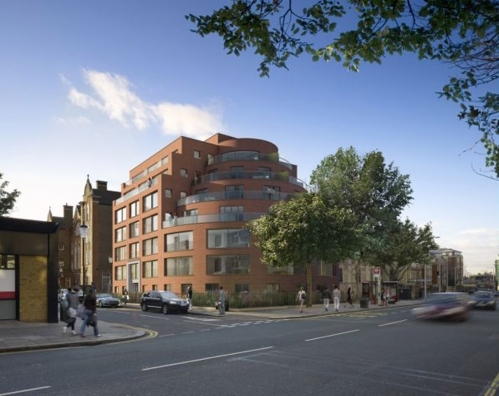 The solution embodied the aspirations of Hammersmith & Fulham Council to produce a landmark urban development to anchor the regeneration of central Fulham. A public/private partnership scheme in conjunction with both Epsom & Ewell Borough Council and Surrey County Council, providing over 140,000 sq.ft of new buildings in addition to below ground car parking in Epsom town centre. The main atrium of the Building was designed to have a â€œgreenâ€ passive ventilation solution, which operates well and is a forerunner to many “green” buildings now being designed. The Whitefriars’s Estate is a two acre island block which comprised largely redundant Victorian buildings situated in the Whitefriarâ€™s Conservation Area in the City of London. One building was spot listed during design development. The Osborne Group was selected by the freeholders, The Corporation of London, to develop a master plan for this sensitive site, acknowledging the Group’s ability to deal with complex town planning, land use and developmental matters. A mixed use solution was conceived integrating a new 100,000ft2 office headquarters building, an office refurbishment (Whitefriars House), a new restaurant and conversion of two retained former office buildings to provide 62 new apartments. Once the original consents were obtained, the scheme was then substantially remodelled to take account of an occupier’s specific requirements resulting in a pre-letting to Gouldens solicitors (now Jones Day). The new office element had an end value in excess of £50million. Construction works were completed and the tenant took occupation in 2004. 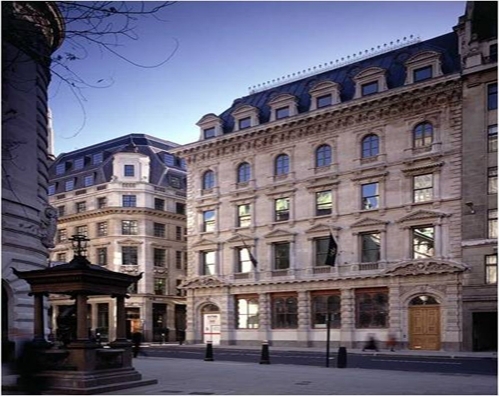 Freehold owned by The Crown Estate and located opposite The Royal Exchange, the building in the heart of the City of London is Grade II Listed. It was redeveloped in partnership between The Crown Estate and The Osborne Group. Planning and listed building consents to maximise the building’s potential by remodelling the roof space and undertaking substantial reconstruction included a change of use to A3 on the lower floors. 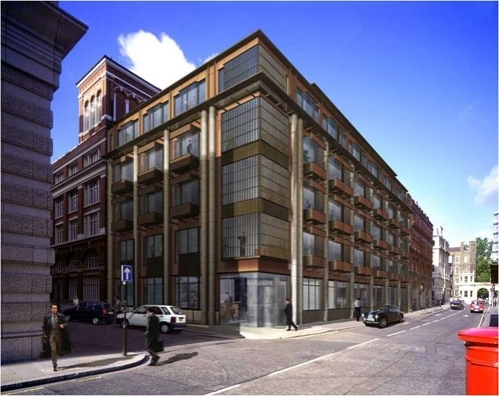 Total floor space of 12,500 sq ft produced a development value of approximately £9million. Designed by award winning architect Conran and Partners, the Monterey is a development of 15 one and two bedroom apartments including a number of spacious two bedroom duplex apartments and in addition 3 converted cottages available to rent to local people. 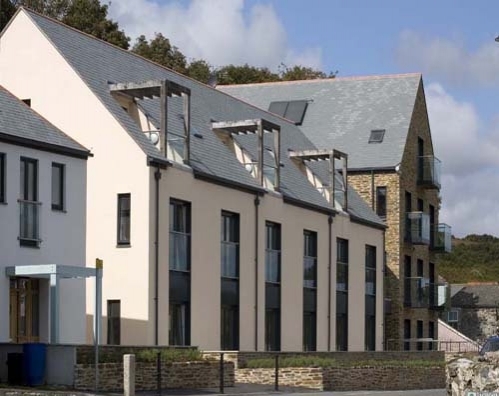 Located in the picturesque fishing village of Porthleven in Cornwall, the design of the Monterey was carefully considered to provide innovative use of space and natural daylight. Each home is complimented by stylish, contemporary fittings and eye catching detail to create a supreme, luxurious living environment. Situated within an area of stunning coastline and award winning beaches, Porthleven is the United Kingdomâ€™s most southerly port. The Harbour Conservation Area has an abundance of historic buildings owned by the company, many of which are listed and were constructed at the same time as the Harbour around 150 years ago.